Need Transport from Malta Airport or Heliport? Need to Hire a Car or Bicycle? With our large fleet of modern cars, you have alot to choose from. Our chauffeur driven services are offered with modern Mercedes and minibuses combined with smart, punctual and friendly drivers. So do not hesitate to e-mail us for more information about our prices and services. 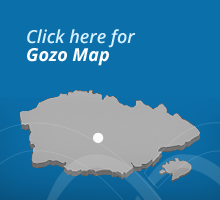 We will be more than pleased to help you have a good holiday in Gozo. We give the best services at the best prices.